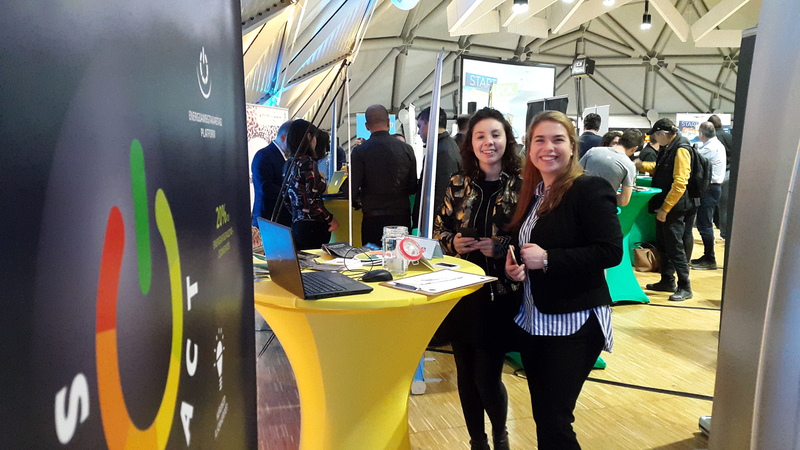 START2ACT had its own stand at Startup Night Budapest: our team has engaged with startups and entrepreneurs on the topic of energy efficiency at their businesses and how behavior change can go a long way when it comes to saving energy and cutting costs in the long run. Our team inspired startups and entrepreneurs, making them discover our free-of-charge online and on-site activities and how being energy efficient could ultimately allow their businesses to grow and have an advantage on the market. The Startup Night was also a great opportunity to expand our community and network with startup support organizations, like Impact Hub Budapest and START IT @ K&H incubator. The fourth edition of the Startup Night, organized by the Budapest Enterprise Agency (BEA) and with the support of Mayor of the City of Budapest and the Minister of Finance, brought together the players of the local startup ecosystem this year on November 27th. Districts, universities, innovation centers, incubators, major companies, experts and all interested parties gathered to discuss issues and ideas around best practices on how universities and the economy’s “big players” are contributing to startups’ and SMEs’ success and the role of Budapest’s international relations in the development of innovative enterprises.